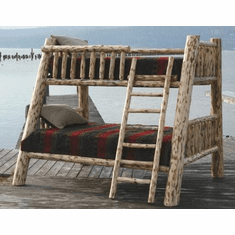 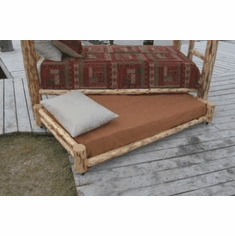 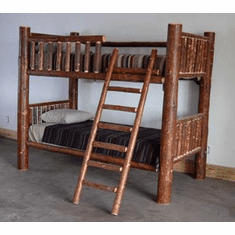 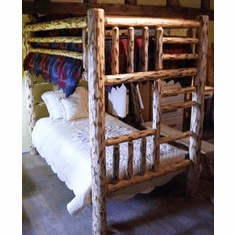 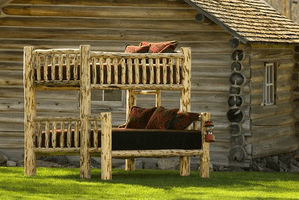 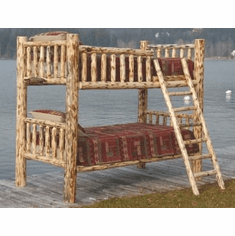 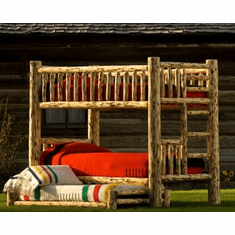 RusticFurniture.com offers some of the sturdiest, classic wood and log bunk beds found online. 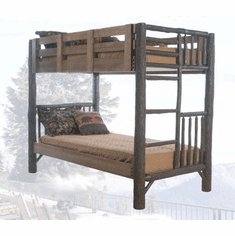 All of our rustic bunks are constructed entirely in the United States. 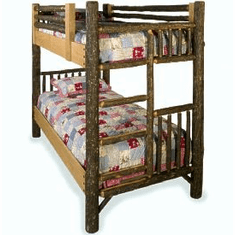 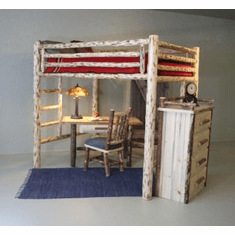 Rustic aspen, hickory, or pine hand peeled logs are featured in the bunk beds. 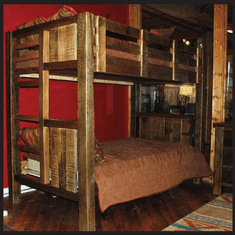 Using a rustic bunk bed increases the sleeping space in a child's room, hunting retreat or fishing lodge. 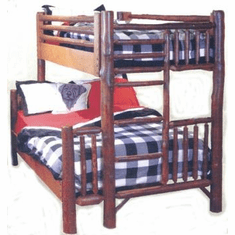 Bunks are offered in numerous configurations: twin over twin or full, extra long twin over queen, even queen over queen bunk beds. 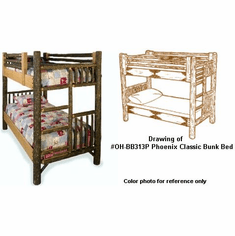 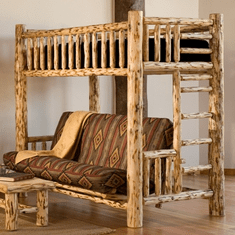 Add another sleeping spot by adding a trundle under any of the rustic bunk beds available.